FwarSome shows have advanced ticketing – check for links below. BROOKLYN HOWLS Hosted by World Famous Bob! 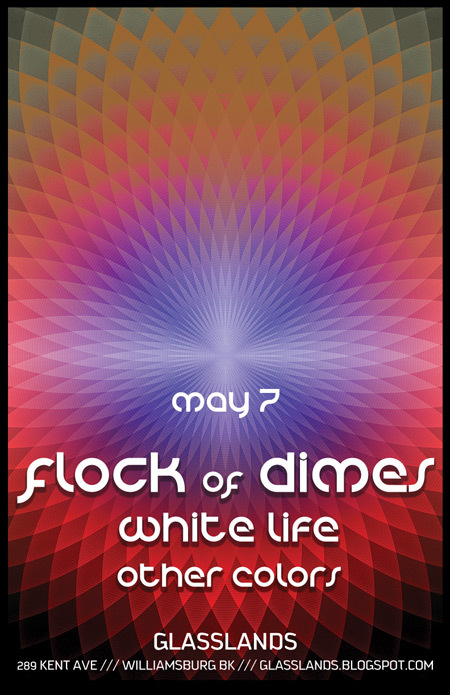 Clouder (members of Quiet Loudly), Gold Smoke, Pump, Drew and the Medicinal Pen +More! SOUL CLAP & DANCE OFF!! Special Memorial Day Soul Clap & Dance Off with DJ Jonathan Toubin. 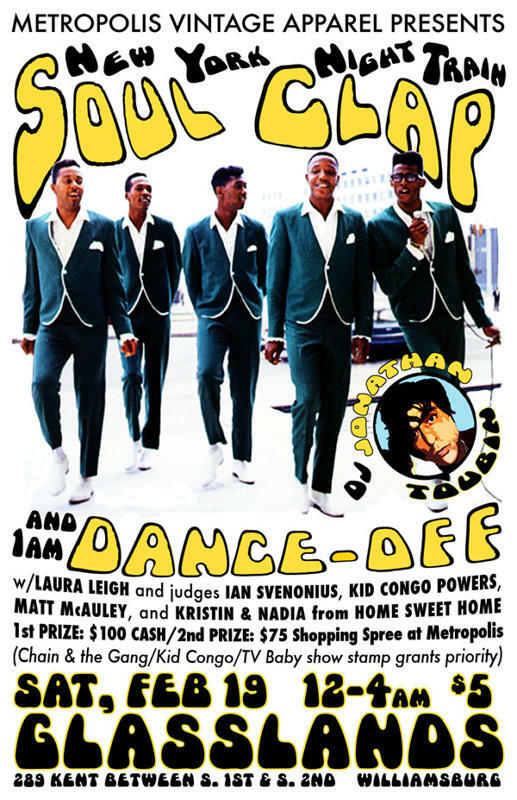 Many months ago, New York Night Train's JONATHAN TOUBIN (http://newyorknighttrain.com/soulclap/jtbio.html) designated May 21 as the last official NYC date of his world-famous SOUL CLAP & DANCE-OFF party (http://www.soulclap.info) before a long break. 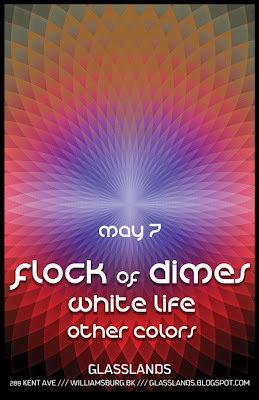 The date was the last of a 28-day U.S. tour and seemed like an opportune time, after more than four years, to take a much-deserved breather from his GLASSLANDS monthly. However, when asked to do this free RSVP-only sponsored version that would be free to the public, he accepted as a surprise present to everyone for more than four years of great parties. Also, this time, instead of New York Night Train productions, dating service HowAboutWe.com and Bomb Lager are presenting the event and MyOpenBar.com will be selecting tonight's panel of judges. Jonathan Toubin cuts his exquisite 45s all night, Bomb Lager open bar from 12pm-1am, and 1am Dance-Off for a $100 grand prize. Playing to more people in more places and generating more capital than any of its contemporaries by far, New York Night Train's Soul Clap and Dance-Off is North America's most popular soul party. 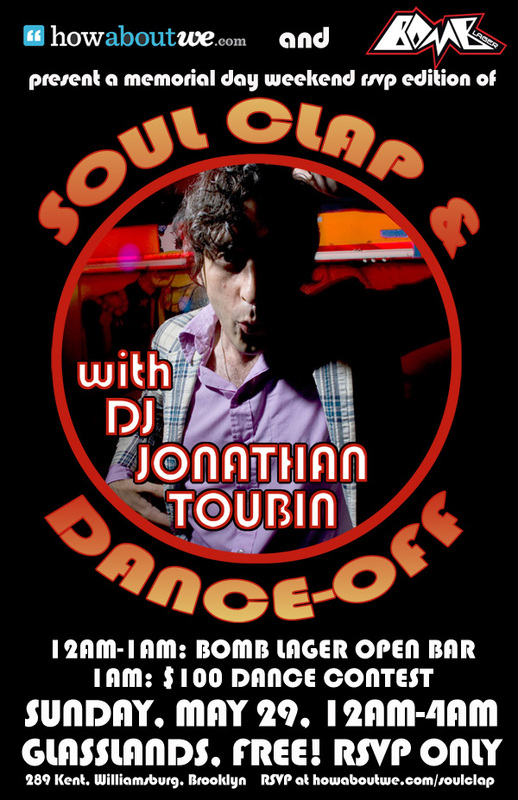 The night is centered around dancing to wild 45s of Mr. Jonathan Toubin - the prolific NYC DJ/conceptualist behind Shakin' All Over Under Sideways Down, the Happening, Polyglot Discotheque, Boogie Night, and, his latest concoction, Land of a Thousand Dances. The climax of the party is a $100 dance contest determined by an interesting panel of judges - past juries have included everyone from classic subcultural icons like Mike Watt and Jello Biafra, to rock stars like Andrew Van Wyngarden (MGMT) and Nick Zinner (Yeah Yeah Yeahs), to interesting cultural figures like Karla LaVey (Satanic Priestess) and Matt Gonzalez (Green Party Vice Presidential Candidate) to your favorite neighborhood heroes. Recession-friendly mass entertainment with a $5 door price, the dance party/spectacle not only sells beyond capacity in its NYC home, but has brought its excitement to domestic markets all the way from Portland, Oregon to Portland, Maine and internationally from Tel Aviv to Mexico City - including monthly residencies in New York, Chicago, LA, San Francisco, Oakland, and PDX. Last week's final official Soul Clap before the break was a freak-out fest with a diverse mix of party-goers including Sam Rockwell and Marisa Tomei (who both entered the dance contest as well! check out Gabi Porter's photos: http://newyork.metromix.com/events/essay_photo_gallery/new-york-night-train/2631577/content).